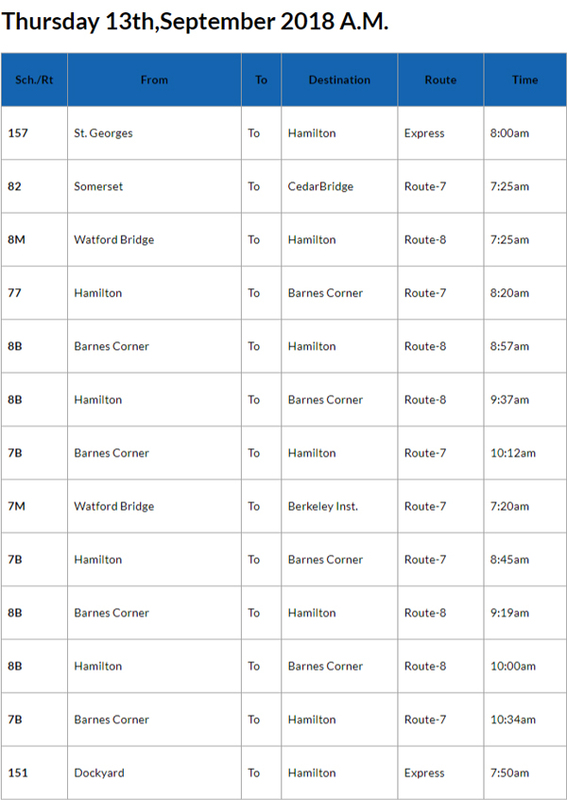 [Updated] The cancellation of bus runs continue, with the Ministry releasing a list of bus cancellations for this morning [Sept 13], with thirteen bus runs cancelled so far today. Update 4.09pm: The Ministry has released the list of bus cancellations for this afternoon. There were 13 runs cancelled this morning, 96 cancelled this afternoon, for a total of 109 cancelled today. West End taking a hit again today. Guess the drivers figured they could have a day off as there are no cruise ships in. Why cancel school buses? Which means students will have to hang in town causing more trouble. Also the school bus cancellation could mean senior students not attending school due to local of reliable buses. Still no explanation for so many cancellations Wednesday and Thursday ……Monday and Tuesday there were only 17 altogether. Are they on a sick out or what?? ?